Although I’m sure not everyone imagines Irish Goddesses in the way that Simon E Davies does, I still wanted to take the time to point out his excellent art. Sometimes it pays to have a visual of the Gods and Goddesses, in order to make them more familiar. This entry was posted on August 3, 2015 by Metalgaia. It was filed under Celtic and was tagged with goddess, images, irish. Interesting thoughts about Irish legends, and the Egyptian Connection. That the druids, and with them civilisation, migrated east in the distant past after the great flood and that the Egyptian princess Scotia came back to Briton (British Isles) for some reason. Hence Scotland. 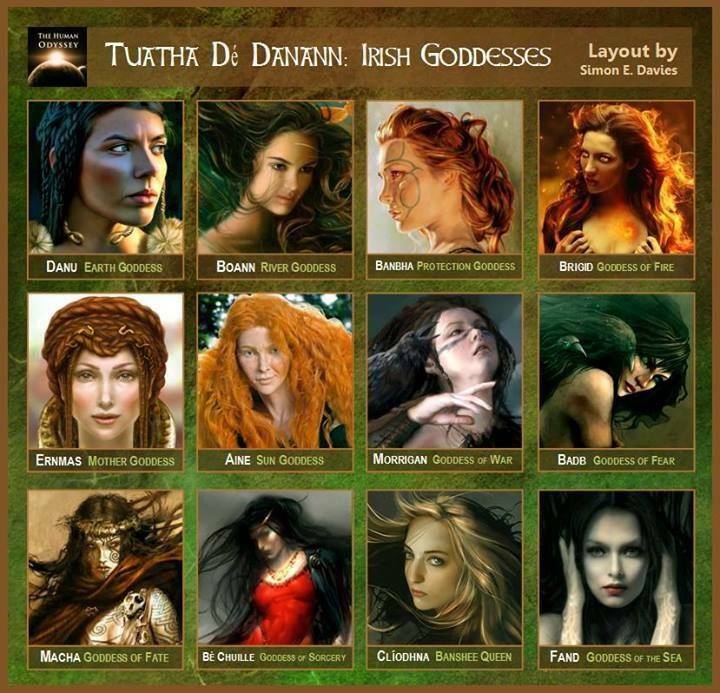 Brilliantly done introduction to the Goddesses of Ireland. I wanted to share this with you all, and encourage you to visit Metal Gaia’s page for more awesome.